Comfort Plus Shoes & Footcare is your source for Finn Comfort shoes and sandals in Kansas City. It can take over 100 separate production steps to make a Finn Comfort shoe. With an extensive collection consisting of over 250 variations – available in various widths and heel heights, some of them in extra small and plus sizes –Finn Comfort has a shoe to fit every foot. For a professional recommendation and expert fitting, please visit us at Comfort Plus Shoes. We have the knowledge, footwear, and lab resources to make a Finn Comfort your Finn Comfort. 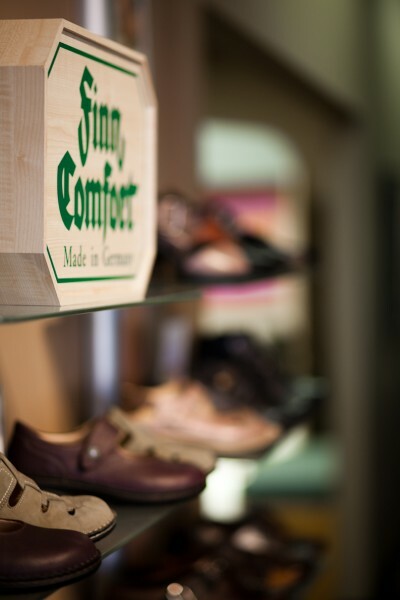 Handmade since 1982, Finn Comfort is committed to brand quality “made in Germany.” The premium comfort footbeds create the foundation of the footwear and keep the foot in its most efficient alignment. Finn Comfort footbeds are anatomically contour molded and ergonomically designed to support and gently reposition the heel, arch, muscles, ligaments, tendons and bones in the feet, enabling these structures to work together as nature intended, making each step you take supremely comfortable and pain free. Unlike conventional shoes, Finn Comfort distributes pressure evenly across the foot, thus may help in reducing unnecessary stress and prevent foot and back ailments. Your feet, and your entire body, are supported properly and naturally – like walking barefoot in the sand.